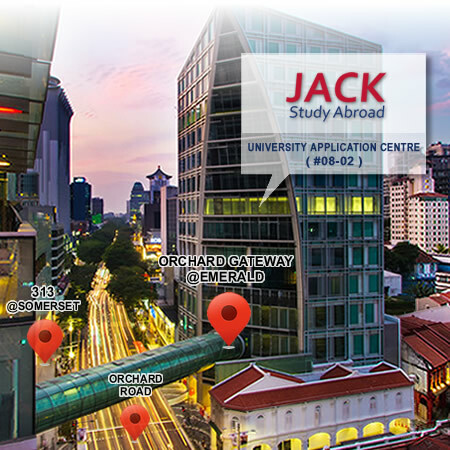 Headquartered in Singapore, JACK Studyabroad has been appointed as their official representative by hundreds of overseas universities. We can help you apply to the overseas institutions, apply for overseas student visa and book student hostel & flight. Funded by universities, all our services are free of charge for students in Singapore. Our friendly education consultants will work with you from initial enquiry through to your arrival at the university (read more: how to apply? | reviews by students). The Foundation year program is a pre-university qualifying program that is equivalent to A’level. You will progress to the first year of a Bachelor’s degree upon successful completion of the Foundation year program. Your place is guaranteed when you complete the Foundation year and achieve the grades stipulated in your offer letter. You can apply with your last year O’level results, or if you are sitting O’level exams this year, you can apply with your preliminary result in September/October, so that you are able to start the Foundation year either in January, April or September. If you have exceptional academic ability, your ambition might be either Oxford or Cambridge University or a UK medical school. Then you may wish to consider A’level program in the UK with Oxbridge preparation. You are eligible for direct entry into the first year of a Bachelor’s Degree Program if you have good grades from GCE A Level or IB. Most Bachelor’s Degrees usually last for three to four years while medicine/dentistry degrees would last for five to six years. Some programs give you the option to undertake a one-year paid work placement after your 2nd year of study. If you are not qualified for direct entry, you may choose the Diploma Pathway Program. A Diploma Pathway is a full-time academic program equivalent to the first year of a Bachelor’s Degree. Successful completion of the Diploma Pathway guarantees you direct entry into the second year of a range of Bachelor’s Degrees with some top universities, including the University of Exeter, Newcastle University, UWA, Monash University, University of Adelaide and many more. Students with a Singapore Polytechnic Diploma can be granted advanced standing (a.k.a. credit exemptions) to a Bachelor’s Degree Program on a case-by-case basis. Normally you can be granted 1-2 years of exemptions if the accumulated GPA is above 2.8. The amount of exemptions varies from university to university. A Master’s Degree is a postgraduate level qualification awarded to students who have successfully undergone study demonstrating a high level of expertise in a specific field of study or area of professional practice. A master’s degree typically requires 1-2 years of full-time study.